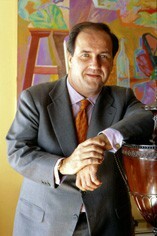 Bodegas Alión was formed in 1986, owned by but run separately to its neighbour, the great Vega Sicilia. This 85-hectare wine estate was founded by the Álvarez family (who also own the Toro estate Bodegas Pintia) to provide a modern expression of Ribera del Duero. The wine is made with 35 hectares around the winery, as well as a further 50 hectares dedicated to Alión within the historic Vega Sicilia vineyards. Unlike Vega Sicilia, where we find a merging of traditional and modern winemaking techniques, Alión is made using state-of-the-art equipment. Forward and uncompromising, these are wines with impressive frames and show an alternative side of Tinto Fino (Tempranillo). 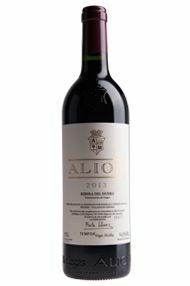 The 2013 vintage was tricky in Ribera del Duero but Alión is a triumph. Sweet red Victoria plum notes on the nose are allied with a gentle strawberry perfume. This sweet strawberry and cranberry character continues on the palate but is held in check by the high level of very fine tannins which add precision and focus. This is a pretty, elegant Alión with much more subtlety than the 2012. It would be gorgeous to drink soon and will mellow even more over the next 10 years. Drink now to 2024. 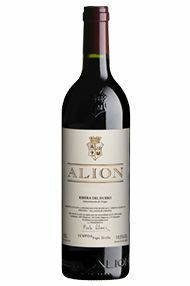 Alión was the first 100 percent Tinto Fino wine aged in 100 percent new oak in Ribera del Duero.. and where the mighty Vega Sicilia lead, others follow……and the style is now very popular in the DO, but, unsurprisingly, seldom equalled. Exuberant fruit and age-worthy restraint go hand in hand; the 2012 is a cornucopia of violets, damson, black olive and toasty oak… less flamboyant than some of its forebears ( 2009 being an example), maybe, but still with plenty of matière and an impressively structured finish. 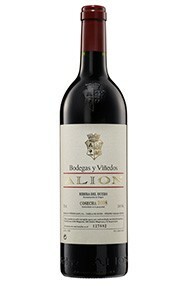 Alión was the first 100 percent Tinto Fino wine aged in 100 percent new oak in Ribera del Duero. The winemaking is innovative and independent; ageing takes place in new French oak and the end result is a wine bursting with fruit (red and black) but simultaneously demonstrating a parental level of restraint which will see it age wonderfully in the cellar. This is a connoisseur’s wine which requires patience but will be hugely rewarding for those who can remain steadfast in the face of temptation. Bodegas Alión was formed in 1986 as a winery to be run independently to its big brother, the great Vega Sicilia. This 85-hectare estate was founded by the Álvarez family to provide a modern expression of Ribero del Duero. 35 hectares of the estate is located around the winery, with a further 50 hectares dedicated to Alión within the historic Vega Sicilia vineyards. Unlike Vega Sicilia, where we find a merging of the traditional and modern winemaking techniques, Alión is made using state-of-the-art equipment. Forward and uncompromising, these are wines of impressive stature and show an alternative side of Tinto Fino (Tempranillo).